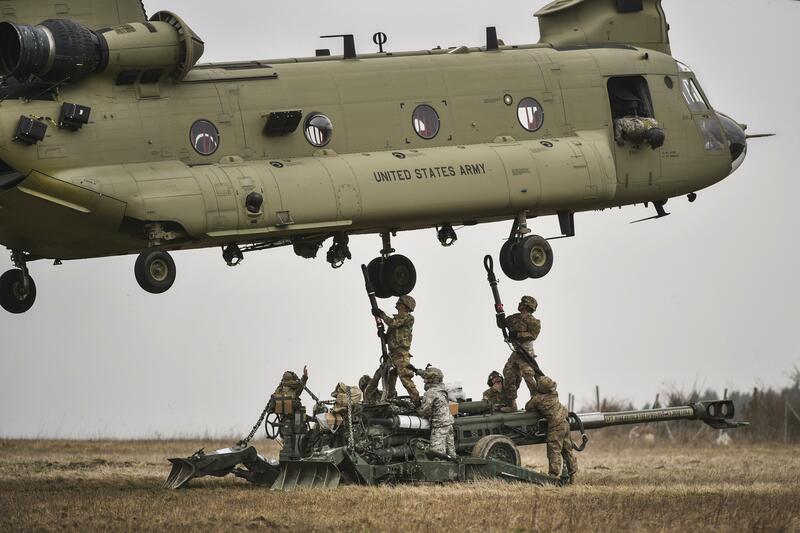 Artillery is experiencing a revolution in platform design, ordnance and fire control. Such advances are making artillery more deployable, enabling weapons to reach the battle easily and to move around the battlefield quickly to deliver more firepower. Contemporary systems such as Nexter’s CAESAR wheeled 155mm Self-Propelled Howitzer (SPH) can transition from moving to firing and back again in minutes. Moreover, engagements that previously required batteries of eight guns can now be delivered by two or even a single weapon with even greater effect. This is turning what was once an area weapon into a weapon with the capability for near pinpoint accuracy. An added benefit of today’s artillery advances is that many such advances can be directly applied to existing weapon inventories, thus making upgrades to this end more economically attractive than procuring a new platform. Many of the changes discussed above have occurred during the last decade. The result of these new developments is that artillery is not only being embraced by militaries worldwide but it is taking on new roles that previously were impossible. Many Asia-Pacific armies have recognised the contribution and value of these new artillery capabilities. As the CAESAR SPH has illustrated, truck-mounted artillery is proving increasingly attractive. This product alone has won four customers (France, Indonesia, Lebanon, Saudi Arabia and Thailand) since the SPH was first ordered by the French Army in September 2000. Discussing the CAESAR, Benjamin Gautier, a spokesperson for Nexter, stated that the CAESAR concept: “originated as a company initiative based on a study of future needs. The idea was that a wheeled self-propelled system could more easily fit into transport aircraft and yet move around the battlefield.” By maximising the automation of the gun and firing functions such a platform has the ability to emplace and displace quickly with minimal crews. For example, the CAESAR is outfitted with the Sagem/Safran SIMGA-30 inertial navigation system, which forms part of the weapon’s automated gun laying system, and has the ability to be operated by a crew of two. An efficient counter-recoil system has permitted the CAESAR to fire 155mm rounds, while the SPH’s wheeled chassis, based on either a Mercedes Benz Unimog U2450L or Renault Sherpa-10 six-wheel drive chasses offers a reduced maintenance and servicing burden, compared to a more complex tracked SPH design, while also permitting their wider use on existing roads and bridges: a key consideration for Asia-Pacific users. The Royal Thai Army (RTA) has made major commitment to truck artillery. Since 2010 the RTA has been operating six CAESARs, and open media reports state that these platforms were used in April 2011 against Cambodian forces during clashes between Thailand and Cambodia which have focused on a border dispute between the two nations. Elsewhere in the Asia-Pacific region, Indonesia began acquiring 36 CAESARs in 2011 forming an artillery battalion. Meanwhile, in 2015, French and Vietnamese defence websites announced that Vietnam’s Army was considering the CAESAR with a potential requirement for 108 systems. The French Army has deployed the CAESAR in support of its counter-insurgency operations in Afghanistan and Mali since 2009. Media reports continue that, as of October 2016, four French Army CAESARs have been deployed to Iraq to assist Iraq and other US-led coalition forces seeking to expel the Islamic State of Iraq and Syria (ISIS) insurgent organisation from the northern Iraqi city of Mosul. The RTA apparently agrees that truck mounted artillery works. In 2015 the Thai Weapon Industry Centre displayed the Autonomous Truck-Mounted Gun (ATMG) 155 mm weapon mounted on a Tatra six-wheel drive truck. In joint development with Elbit Systems, the design is reportedly based on the Soltam Systems ATMOS-2000 155mm SPH. Reports continue that fourteen guns are planned with local production. Other indigenous Asia-Pacific SPH efforts include Norinco’s SH1 155mm and SH5 105mm weapons. Norinco likely drew influence for these two platforms from the firm’s PCL-09 SPH developed for the People’s Liberation Army (PLA). 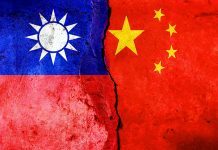 The SH1 has been fielded by Burma and Pakistan. 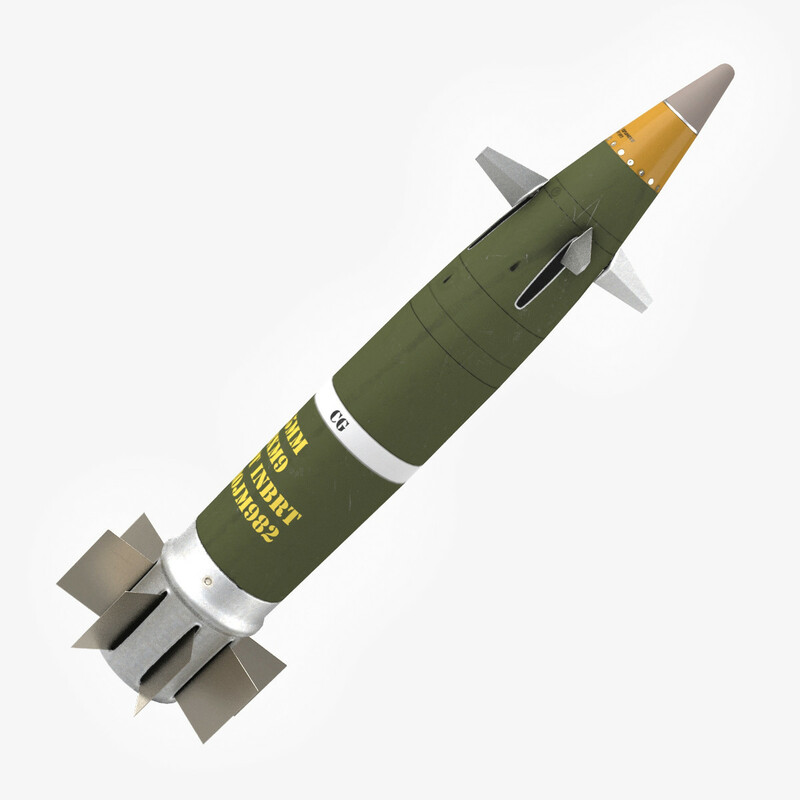 It can fire standard NATO (North Atlantic Treaty Organisation) and Norinco ammunition including the firm’s own round, the design of which is reportedly based on the KBP Instrument Design Bureau 30F39 Krasnopol 152mm Precision-Guided Munition (PGMs). As the 30F39 illustrates, a key change in artillery employment has been the introduction of new ammunition exploiting advances in microelectronics. Such PGMs increase the lethality, effectiveness and efficiency by significantly reducing the CEP (Circular Error Probability) of a round. The CEP is essentially an accepted measure of weapon precision, the circular diameter area into which 50 percent of rounds fired will fall. A 50 metre/m (164 feet/ft) CEP indicates 50 percent of rounds fired will land within a 50m area. PGMs can be guided or autonomous: Most guided projectiles use laser homing. Here a target is ‘painted’ by a laser designator aimed by an observer in the air or on the ground. The projectile homes onto the laser energy reflected from the target. Autonomous rounds are equipped with their own navigation and positioning, and have manoeuvring fins or canards so that they can glide onto the target. The navigation used by PGMs can employ either inertial or satellite technology, or be a combination of the two. The benefit of PGMs is their lower CEP compared to conventional high explosive rounds. For example, official figures denote that the Raytheon/BAE Systems M-982 Excalibur 155mm artillery round has a CEP below five metres (16.4ft) as opposed to 200m (626.2ft) for conventional rounds. Although PGMs are more expensive per round than their conventional counterparts, being able to have the desired target effect while firing fewer rounds has major tactical benefits: So-called ‘Add-on kits’, such as the Orbital ATK M-1156, have been developed that fit onto existing conventional projectiles that offer a performance close to purpose-designed PGMs. accuracy to ranges of 25km (15.5 miles). There have also been reports of an extended range 155mm PGM, known as the WS-35, which is said to have a 100km (62.2 miles) range and 40m (131.2m) CEP. The WS-35 is understood to use the Chinese Beidou satellite navigation system in tandem with an inertial navigation system. The munition is fired from the PLA’s PLZ-05 tracked SPH. 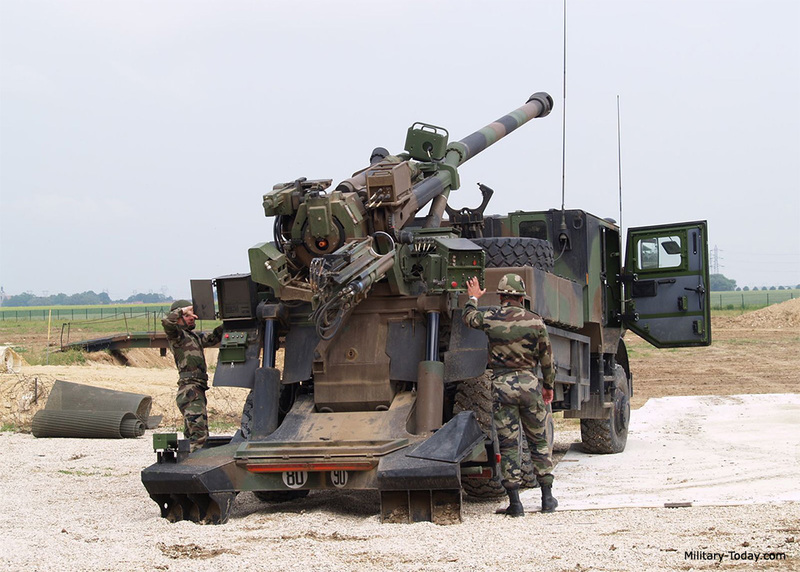 As a BAE Systems spokesperson reflected to AMR that; “A major advantages of artillery PGMs is their capability to be fired from most fielded artillery pieces of the same calibre.” Thus gun performance is enhanced without major investment in weapon modernisation. This makes PGMs an attractive acquisition. For example, the Australian Defence Force has fielded the M-982 to complement its 53 BAE Systems M-777A2 155mm towed howitzers acquired for $850 million in 2012. The guns are also compatible with Orbital ATK’s M-1156 PGM kit and Diehl/Rheinmetall’s SMArt155 155mm anti-armour round. The latter’s projectile carries two sub-muntions that, upon arrival over the target deploy, and descend on ballutes. The dual infrared and millimetre sensors housed in the sub-munition trigger an explosively-formed penetrator which attacks the top of a target. Any of the five other armies operating M-777 family (Canada, India and the United States) clearly have these munition options available to them. These will shortly include India which finalised a $750 million deal with BAE Systems in December 2016 for 145 guns. Fire Control Systems are the mechanisms through which guns are able to engage targets which they cannot see directly by connecting an observer, usually by radio, providing target information and target location to a Fire Direction Centre (FDC). The FDC computes and provides the guns with the data that allows them to be aimed and fired to hit the target. 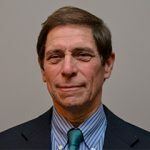 Today’s digital communications and processing, inertial navigation and GPS (Global Positioning System) geolocating, laser ranging and gun automation have transformed what was previously a methodical and largely manual process. The digitisation of fire control permits a direct ‘observer-to-gun’ loop that can deliver rounds onto a target within seconds of a call for fire. Integrating this technology has increased artillery response, accuracy and effectiveness. 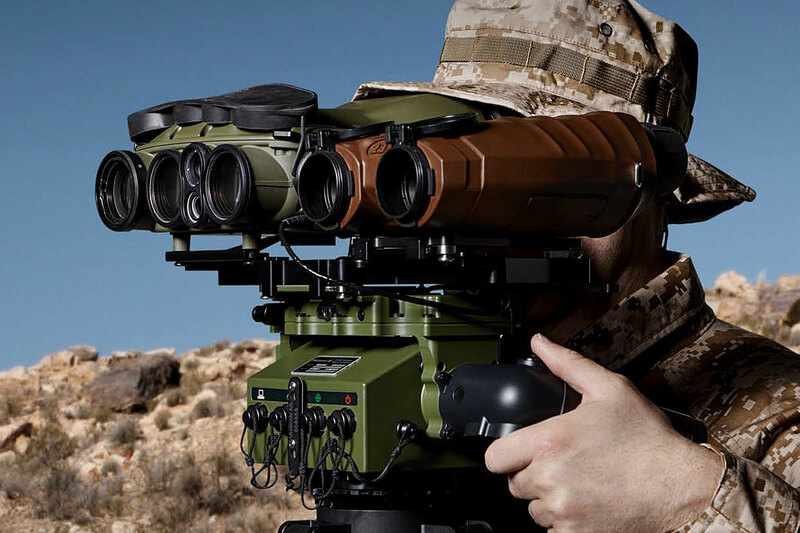 At the observer end systems like Safran/Vectronix’s GonioLight observation systems offer precise location, direction and range to the target. Another such system is the Rheinmetall/Vinghøg Vingtaqs-II. A Rheinmetall spokesperson indicated that this: “determines the exact coordinates of a target at long distances. As a standalone system, it can be deployed static dismounted, or mounted on a wide variety of vehicles. The system also features laser-enabled target designation.” The Vingtaqs-II is fielded by Malaysia as part of a $49.6m contract with deliveries beginning in 2014 and the product is installed on the Malaysian Army’s DefTech AV-8 eight-wheel drive armoured vehicles. At the battery level, gun laying and positioning technology provides fast and exceptionally accurate alignment in minutes often utilising hybrid land navigation systems comprising INS (Inertial Navigation System) and GPS technologies. This capability, once restricted to SPHs, is now increasingly common even for towed guns. This is a direct result of electronics miniaturization. In fact, increasingly the FCSs for towed and self propelled guns are coalescing. This is the case with the M-777 and the M-109A6/A7 Paladin 155mm towed howitzers and SPHs which use digital fire control systems. A programme engineer from BAE Systems reflected that, thanks to its digital FCS, the M-019A6/A7 can transition from moving to a firing position, and have rounds on the way, in as little as one minute; a process that previously took as much as 20 minutes: “This means both a more rapid response to fire missions and reduced vulnerability to enemy counter-fire.” The M-109A6, which is fielded by Malaysia, has this capability and the M-109A5 in RTA service could receive a digital FCS in the future. In addition, the ROK has implemented similar capabilities in both their Samsung Techwin K-9 Thunder SPH and the firm’s K-55A1, itself an improved version of the M-109 family. The K-9’s 155mm gun is also fully automated, allowing a burst rate of fire of three rounds in 15 seconds and maximum rate of up to eight rounds-per-minute. The advanced state of the ROK’s artillery development has earned it worldwide attention. 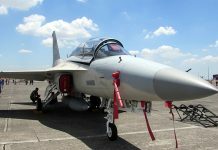 The K-9 Thunder has been adopted by Turkey where it will be license built. It is also the subject of collaboration with Huta Stalowa Wola in Poland, where it forms the basis of the AHS Krab SPH. Some armies which had neglected artillery for the lure of aircraft-delivered firepower have again realised its unique benefits. Artillery fires can be available in seconds rather than minutes, and is available during the day or night, even in the worst visibility and weather conditions. Technology has enhanced and expanded the capability and roles of this restored “God of War”, as artillery was once terms by the Soviet dictator Joseph Stalin. The degree to which technology has changed artillery is demonstrated by the evolution occurring in artillery organisation and tactics. A single gun, or a pair of guns, can now deliver fires not simply equivalent to, in terms of speed and accuracy, but exceeding that of a previous eight-gun battery. This had lead to a rethinking of concepts of operations for dispered guns. The Australian Army’s Royal Australian Artillery has adopted a four-gun battery structure viewing it as both more flexible and saving resources. The adoption of fire support command and control systems like Raytheon’s Advanced Field Artillery Tactical Data System (AFATDS) further facilitate this approach. The AFATDS, which is fielded by the US Army and the US Marine Corps and the Australian Army, allows fire support assets spread several kilometres apart to be integrated and their fires, as well as those of other supporting arms, to be coordinated and massed. That many of these artillery capability improvements can be adopted for existing gun inventories is a further major advantage particularly for those armies in the Asia-Pacific area. 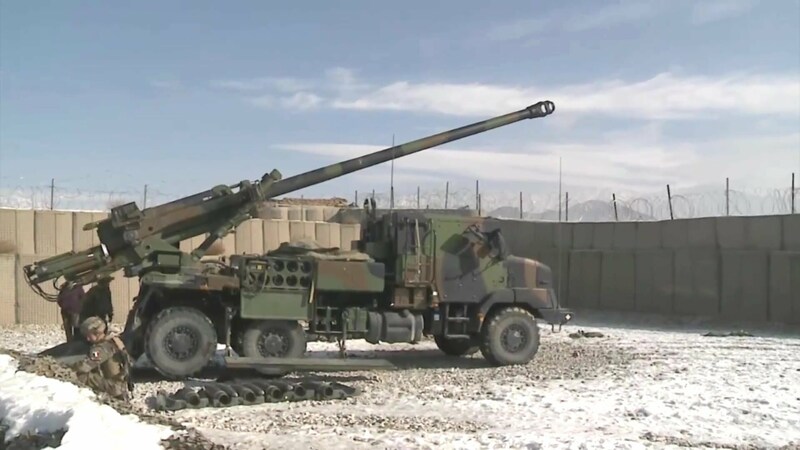 Given this and the modest investments necessary to achieve such a substantial return in combat capability through the major enhancement of accuracy, the transformation of artillery is certain to proliferate across all armies in the region.